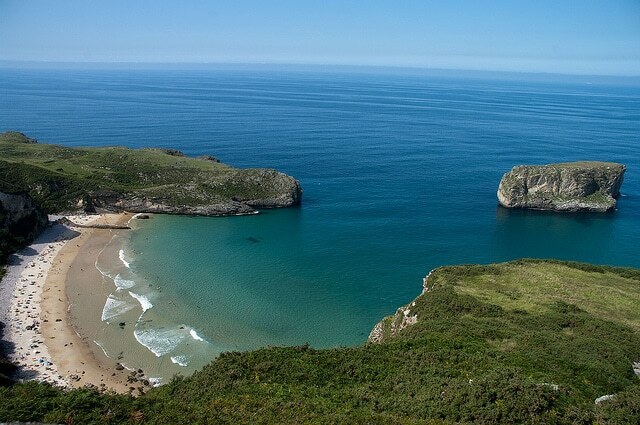 In the face of a cliff, as if has been there as a guardian, surrounded by greenery characteristic of the Asturian coast, playa Ballota showcases across the delight of the view. Playa Ballota can be seen best when viewed from above, when the eye captures all the colors of nature. Open to the sea with white sand and big waves, the beach and its surroundings are form a unique environment. From the top of La Boriza the beach view of Ballota, and the nearby playa Andrin, is overwhelming, even when the sea roars, and the waves shake the earth. 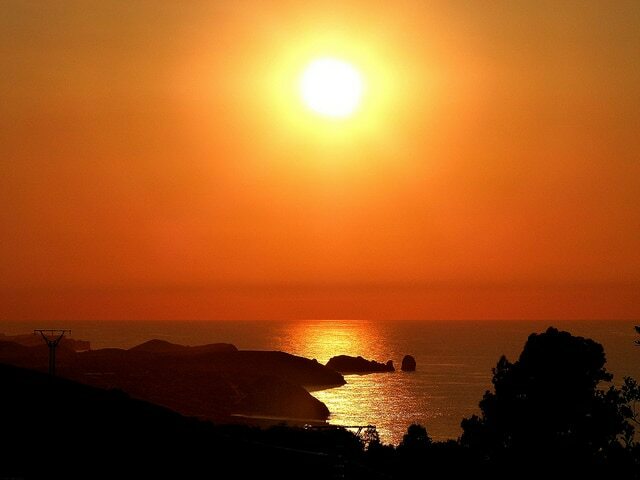 We are in Spain, in Asturias, the tiny principality in the north of the country, where the coast is a succession of beaches (some of them large, others are hidden), it is interspersed between steep cliffs. 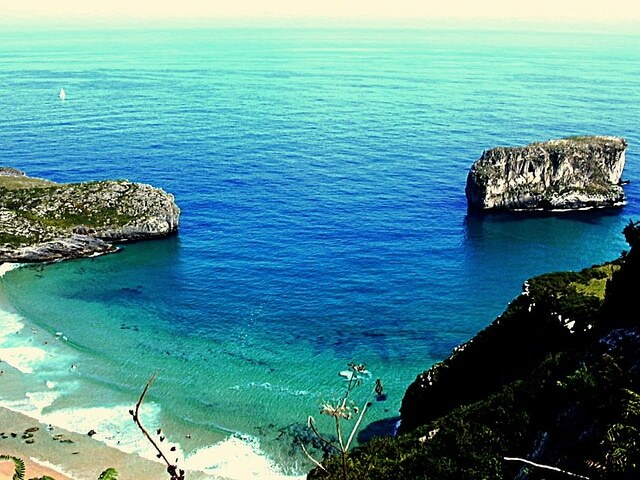 The nearest village is Andrin, but that is best known to tourist as Llanes. Many arrive on this beach, following the Senda Costera de Asturias occidental, a path of about twenty kilometers long that runs between the unspoilt Pendules and Llanes. Tougher than in the high season you can go to the beach in solitary, as it is often touted as one of the most beautiful beaches of Spain. Strong currents and tides do make a yo-yo with the beach. On the path that leads to the beach there is a small and modest bar, with beautiful views of the sea and the beach, for about 10 Euros you can also decide to stop for a little more, and try the dish of the day. Near Llanes is also playa Gulpiyuri, a strange sandy beach … literally in the middle of the Spanish fields.